Here is a great video that shows Finland basketball and players that are playing there. Having played in Finland its nice to see this video. I was taken care of there pretty well! Hi my name is Patrick Sheard. I am a 5’9 point guard from chicago. I have a great handle on the ball and a outstanding outside shot, also capable of getting to the rim at any time. 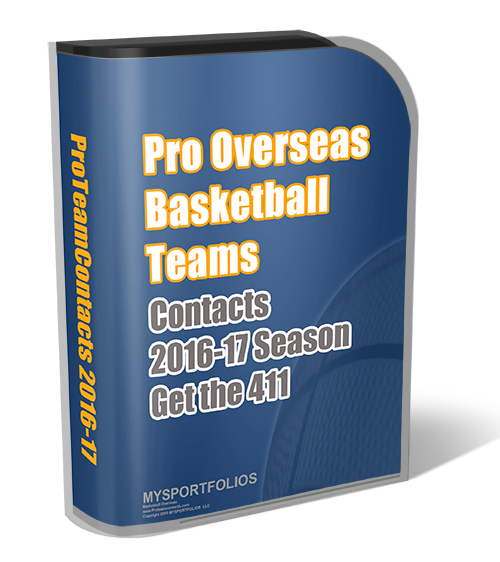 Im looking for overseas basketball teams anywhere overseas, I just want to play basketball. I can be reached at my email address patricksheard@yahoo.com Thank You! I’m Shooting at a 86% from the 3pointer. i have Tapes stats that can Show you. hi my name is barry evans i am a u.s. basketball recruter.i would like to know if there is a lot of jobs in finland.if there is i can place a lot of players.can you get me the namrs of the teams that are looking for american talent.i have 25 years in coaching in playing.i am from baltimore marryland.sam cassell, carmelo anthony andjuan dixson is from baltimore.there in the n.b.a. now.former n.b.a.players from baltimore mugsey boogs,reggie williams,david wingate,reggie lewis.i know talent because i played in coached around talent. My name is Jatarra Pryor and I am a female who is 20 years old who has been playing basketball since I was 9 years old. I am a college student who has strong desire to play pro basketball overseas. I am 5′ 8″ inches tall,weigh 138 pounds in excellent physical condition and am a very talented point guard and shooting guard. I am looking to not only tell you what my basketball skills are but to also show you my talents. I just do not know how to contact the necessary people. At the same time, I am learning very quickly that basketball is very political and if you are in college and you are not on the coaches personal guest list, all your talents get wasted on the bench and all the hard work you have put in most of your life seems a waste of time and you feel helpless. But, I am not one to give up on my dream that easily. I am going to keep looking until I can showcase my talents because I refuse to let my talents go to waste. I would be an excellent additon to any team and I have a very strong work ethic and am very coachable. Please, if you have any information on how to get contacts to overseas recruiters. Please contact me at my email jatarra@adelphia.net or my home address which is 26760 Hibiscus Street- Highland, California 92346. Keeping the skills honed and waiting. Hi my name is tristeen and i am looking to play college basketball overseas. I am an 18 yr old freshman in college. I am about 5’6”, but I was one of the top rebounders in my league and one of the strongest defensive-players in my conference.I am very coachable and a hardworker and am looking to becoming a better offensive player, and am not afraid of hardwork. If anyone can help me learn how to play college basketball overseas, please e-mail me. Thank you. It would be appreciated.